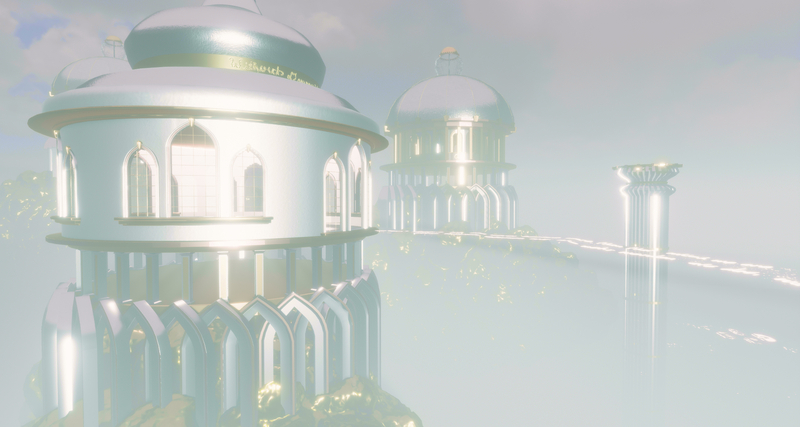 On Tuesday, November 7th, Linden Lab issued the Look At Me release for Sansar. 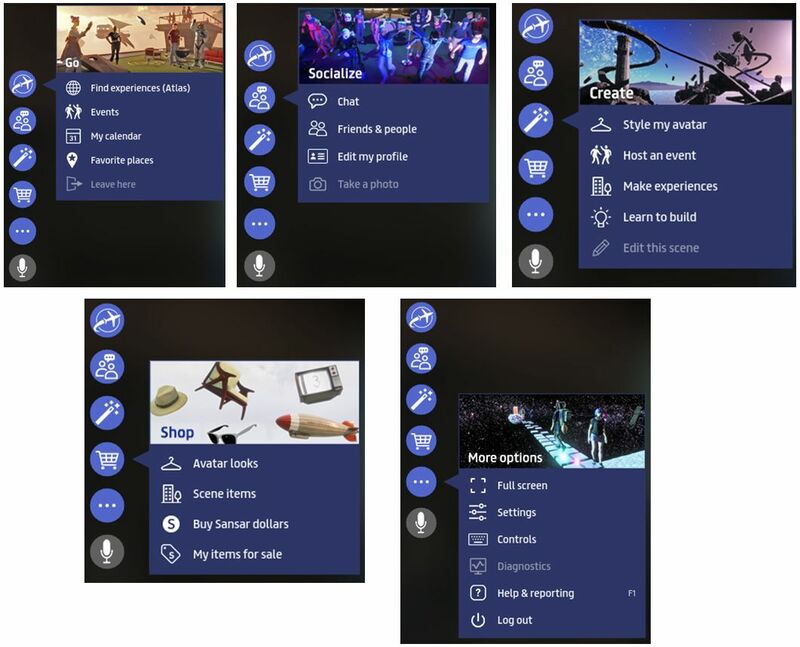 It is perhaps one of the most radical changes to the platform’s client since the public beta opened in 2017, incorporating both an overhauled user interface and revised controls for both VR and Desktop mode. This article is designed to provide an illustrative summary of the release, but do note the lack of an VR headset and controller on my part means that any features described in detail here are looked at from the Desktop Mode. The full release notes for the update are available here. As is generally the case with Sansar deployments, this update requires the automatic download and installation of a client update. Updates in this release mean that on logging-in for the first time following the update, users will be placed in the Look Book (Avatar App). As a part of getting ready for the release of Sansar on Steam (see here for more), as well as to make the UI easier to understand in general, this release sees a complete redesign of the client UI controls, which is perhaps the most immediately visible part of the update. 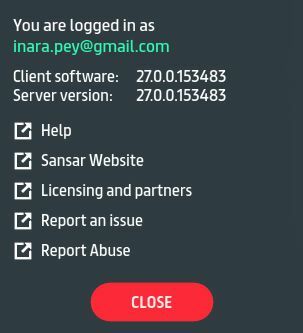 Log-in using your Sansar credentials. Log-in using your Twitch credentials (if you are a Twitch user registered with Sansar). It’s a small change, but it does make the client look cleaner on start-up. The next obvious change to the UI seen after logging in is with the UI buttons. These have been both moved to the left side of the client window and revised to group options together more logically, provide better ease of access to options and tools, and generally be more intuitive without intruding too much into a scene. Excluding the microphone toggle button, there are five function buttons. A neutral grey when not in use, they will turn blue when the mouse pointer is moved close to them or hovered over them. Hover over a specific button, and it will display a label: Go; Socialize; Create; Shop; and More options. Click on a label, and it will display a menu of options. The Atlas is now more generically referred to as Find Experiences (Atlas) under Go. The Create button brings together the Look Book option (previously a separate button), and adds the options to create an experience or an event, rather than restricting these to buttons in the Atlas and Event panels. The Snapshot option is relocated from the old More Options drop-down to the new Socialise button. In addition, there are some new options, such as Favourite Places under the Go button, which opens the Favourites tab in the Atlas; or the Learn to Build option under the Create button, which opens the knowledge base table of contents page Creating in Sansar, in a web browser tab. The new buttons are also visible in VR mode, but are now displayed on a menu over the left wrist. The Look at Me release sees a number of revisions to keyboard and controller commands. Hold Left Shift to Sprint (was double tap WASD) – configure in Settings to choose between “Hold Left Shift” or “Toggle Left Shift“ for Sprint. Hold Spacebar to bring up teleport GUI, and release to teleport to target location (was Hold Shift) – mouse wheel button is still assigned to quick teleport. Press F1 to bring up the new help & reporting window. Pressing Y will still open the VR menu, but it now appears on your left wrist (see above). “Toggle Sprint” is now an option in settings. Hold “Left Shift + WASD” to temporarily increase camera movement speed while held. Hold “Left Ctrl + WASD” to temporarily decrease camera movement speed while held. Over-the-shoulder camera now has object avoidance. The camera will not go through walls in desktop or in VR. Scrolling the mouse wheel in desktop mode will allow the user to zoom in/out, even to the point of going into first person and back out to third person again. VR users are now able to see their own avatars while in first person view, including arms and hands replacing the default VR hands – although note that the blue hands will display for the likes of handless or tentacled avatars to facilitate menu access. The new view should work with both the Sansar default avatars and with custom avatars. 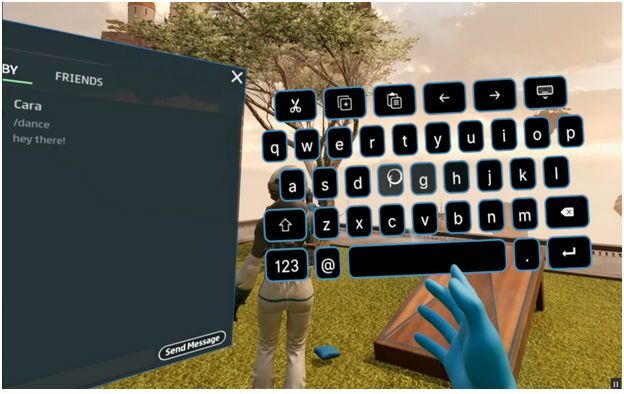 With its release, VR users have access to a virtual keyboard, allowing them to join in on text conversations and make use of Sansar’s “/” commands / emotes. The new keyboard can be grabbed and dragged around the viewing area to suit needs, and includes Cut, Copy and Paste hot keys. Typing Indicator: an indicator similar to the voice indicator is displayed over an avatar’s head when they are typing in nearby chat (it is not shown when sending someone a direct message). Note that is does not indicate that a message was sent and does not show when typing IMs. It does, however appear when using emotes, which can be distracting. Copy & Paste should now work correctly in local chat (and in VR, as noted above). It is now possible to add a friend directly from chat. Friends can be sorted by on-line status. Better feedback when you Add a Friend and clearer confirmation when a new friend accepts. People App: is now available in VR. Troubleshooting microphones: users can now go to settings and test their own microphone to see if sound is coming through, as well as hear feedback on how they sound to others. The Look At Me introduces high-resolution texture streaming to help reduce experience load times.This means users will arrive in an experience sooner, but some assets using high-resolution textures many initially appear to have blurred surfaces while their associated textures are still being streamed to the client, but they will become crisp and clear as the textures are loaded by the client. The period of blurring should only occur briefly on loading an experience. This is not the same as loading objects, or constant real-time rendering. This release adds two new dance emotes – /dance5 and /dance6, and sees the original dance relabelled “/dance1”. Custom Emotes are set by users on a per avatar basis in the Look Book. Emotes affect the upper body or the full body, so a full body emote will not play properly if assigned to an upper body emote. Subsurface shader: currently applicable only to custom avatars, this ensures that a surface behaves more like skin (in terms of light reflection and scatter). It will be extended to Sansar default avatars in a future release. Emissive Shader: comprising only an emissive map for objects that are only a light source and do not need any other maps, such as a neon sign. Please refer to the Sansar Script API Updates documentation for details on all the available script APIs. Determining who or what got hit by a projectile or where the projectile goes. Letting users interact with things that are further away than they can reach. CsScene.CastRay projects a line segment between two points and returns all physics objects that intersect. CsScene.CastSphere and CastBox cast an axis-aligned shape between two points and returns all physics objects that intersect. SimpleGrabRelease: a new simple script for sending simple events when the object is picked up or dropped. AgentPrivate.Client.TeleportToUri(string uri): Teleports to a scene URI. RigidBodyComponent.GetInverseInertia/SetInverseInertia(Vector): allows a script to control the inertia of the object on different axes. For example an object can be set to only spin around the z-axis by giving it a vector with zero’s in the x and y components. There is a lot packed into this release when it comes to usability. Those with VR headsets will doubtless welcome the arrival of full avatar views in first-person and also the virtual keyboard (both of which have been subject to repeated requests). The Ray casting capability for scripts has also been much requested, so the response to the implementation should be interesting. From a Desktop user perspective and trying to look at it with fresh eyes, I’d say the new button set with their pop-out menus is a lot more user-friendly than the “old” buttons. As something of a “seasoned” Sansar user, I found switching to them easy and natural, and it didn’t take me long to reacquaint myself to options – like the snapshot tool – which have been moved around. I’m not totally convinced by some of the keyboard command changes: a double-tap to run feels a lot more natural / intuitive than using the left SHIFT key in combination with a WASD key. Conversely, the use of the spacebar for the teleport GUI does feel like an improvement natural. This release was also listed as supporting multiple additional keyboard languages. Whether this is via automatic detection or not, or whether it was included in the release at all is unclear; there is nothing referencing it in the release notes, and there doesn’t appear to be any language Settings options. Next Post A world first for Second Life Machinima? Thanks for the summary Inara! The additional language support was sadly not implemented this Release. We expect to have them in the NEXT Release. This language support we are referring to allows you to type in chat with non-roman characters. For example: Chinese, Japanese, Korean or Russian keyboards. Currently you can copy and paste those languages into Chat though. Thanks for the clarification, Eliot!